Posted by Iris Yan on 9/7/2018 2:43:54 PM. Have you ever encountered this situation that the book you purchased is PDF file, but actually it is an ACSM file when you get this book downloaded to your computer? If this is the first time you have ever seen this kind of file, you must be curious what is an ACSM file? In this article, I will share all things about ACSM file, such as what is ACSM file, how to open ACSM file, and how to remove DRM from ACSM file. Part 1: What is an ACSM file? ACSM file is referring to Adobe Content Server Message file which is not a real file but a download link for the eBook you purchased or rented. It obtains the data from the Adobe Content Server to activate and download the original content of the eBooks, such as ePub and PDF eBooks. 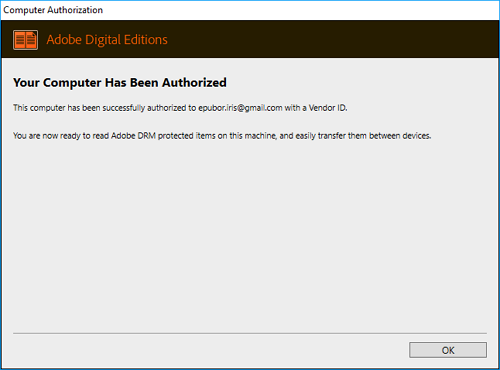 It acts like a connection between Adobe Content server and the book authorized Adobe Digital Editions ID which means if you use the same Adobe ID on different computers, you are able to download and open the same DRM-protected ACSM file with the Adobe Digital Editions. That is one of many reasons that so many eBook vendors employ this eBook distribution method because they think this can give seamless fulfillment of books across devices. I think the most important reason that the eBook vendors use the Adobe Content server to distribute their eBook contents to their customers is that it can add DRM protection to the eBooks. As the ACSM file is not a real book, does that mean we cannot open and even read them? The answer is definitely “no”. 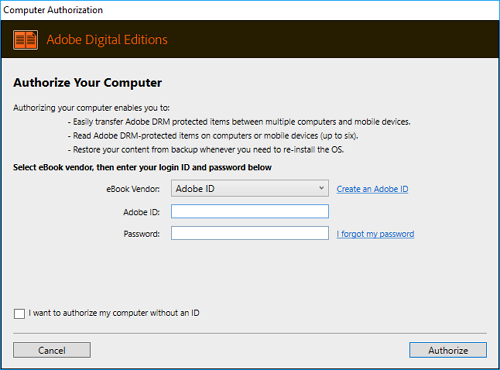 As we know from part 1, the ACSM file is associated with the Adobe Digital Editions so here is the step by steps tutorial to open acsm file with ADE. The Adobe Digital Editions is available for both windows and mac. You can download it from ADE office website. If this is the first time that you use ADE, you will receive a message to create an ADE account. Run Adobe Digital Editions and navigate to "Help" option at the menu. Select Authorize Computer at the drop drop-down list. The Computer authorization box will pop up. Put in your Adobe ID and passwords, and then click on “Authorize” button to finish the authorization process. When the authorization is finished, you will see a message to inform you that your computer has been authorized. Just click on “ok” button to close this window. When you have authorized your ADE with the adobe ID, just drag and drop the acsm file you downloaded to the main interface of ADE. Then you will see the Adobe Digital Editions is downloading the content of this book. When the downloading is finished, the Adobe Digital Editions will open the acsm file for your preview as the below picture. Note: You can set your ADE to automatically download your acsm file to epub or pdf. Go to the main interface of ADE, navigate to Library at the menu bar and select preferences at the drop down list. Then library sync option window will pop up, check “Automatically download your synced books to this device”. Next time, if you have downloaded acsm file, when you run ADE, it will automatically download ACSM file to epub or PDF. Part 3: How to Remove DRM from ACSM file? As we are mentioned in part 1 that the ACSM files are protected by Adobe DRM, this means that we are not able to back up the ACSM files or read the them with other reader apps besides the ADE. As for me, I do not like the ADE at all as it often stopS working, and is very slow. Why not remove DRM from ACSM files and read them with any reader apps or on any devices? Here is the detailed steps to remove ACSM DRM. Step 1: Download ACSM file to PDF or epub. In part 2, it shows you how to download ACSM file. Actually, when the ACSM file has been downloaded, it will not be with the extension .acsm but in pdf or epub format. Below is the default path of the downloaded PDF and epub file. 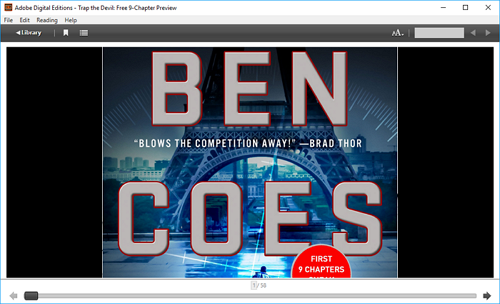 Epubor Ultimate is the best eBook DRM removal as well as eBook converter. It supports books purchased from Kindle, Google play, Kobo, Nook and etc. which covers 80% eBooks on the market. Launch Epubor Ultimate, click on the “Adobe” Tab at the left column, it will detected the books stored at My Digital Editions folder which contains you downloaded ACSM content--epub and pdf eBooks. Drag the book from left to the right column, the DRM will be removed automatically within seconds. 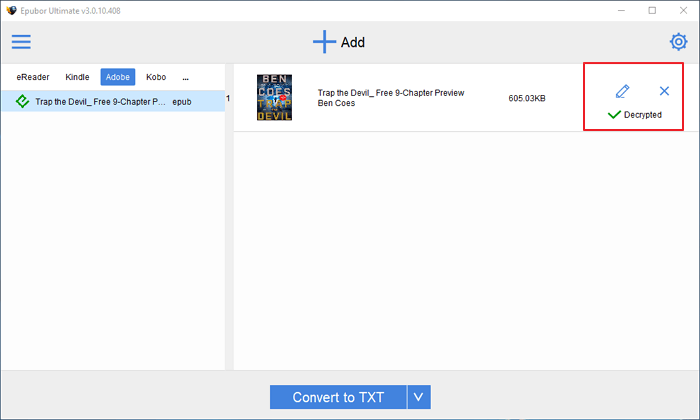 Now you convert your ACSM file to the DRM-free epub or pdf file for bettering reading and sharing. After reading this article, you will know that ACSM file is download link instead of a real eBook file, you can open the acsm file with authorize ADE, and remove ACSM file DRM with Epubor Ultimate.